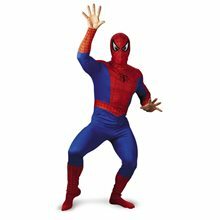 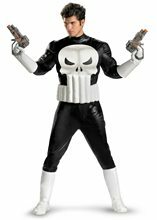 Spider-Man Adult costume features spider-man jumpsuit and foam character hood.MARVEL'S CLASSIC SPIDERMAN - Spider-Man Adult.Age Category - Adults/Teens/Couples.Brand - Spider-Man, The Amazing®Character/Theme - Hero & Villain.Product Includes - Jumpsuit and foam hood. 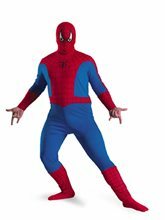 *Boot Covers and Socks Not Included.Content - 100% Polyester Exclusive of Decoration and Trim.Product Care - Hand Wash Cold Separately, Do Not Bleach, Line Dry, Cool Iron If Necessary.Marvel, Amazing Spider-Man: TM & © 2009 Marvel Entertainment, Inc. and its subsidiaries. 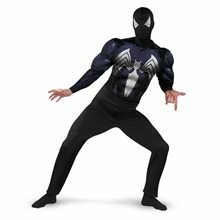 Licensed by Marvel Characters B.V. All Rights Reserved.